Bacon Bouquets' popular arrangements are sold out for this year's Valentine's Day already, but perhaps this is something to consider for the next gift-giving day. Photo by Joseph Lacerte. Valentine’s Day is a potentially contentious holiday for couples—and singles. If you’re single, it’s the day that starkly reminds you that you’re not with anyone. Hopefully, you’re okay with that anyway. If you’re part of a couple, it’s a commercially driven holiday that leads to resentment (“Why do I have to show my love by buying a present on an arbitrary day?”) and self-doubt (“I hope she likes this new Dyson! She’s been complaining about the housework for a while. This should make it easier.” In this scenario, buddy, you better duck when you get home.). For couples, clear communication on gifts may not be romantic, but it sure avoids a lot of arguments later. That idea got our writing team to thinking, “What do we REALLY want for Valentine’s Day?” So, we wrote it down. No, stating these wishes publicly isn’t some kind of sick spousal blackmail. We’re hoping to inspire our readers to think deeply and consider what they really want instead of just stopping at the drugstore for a knee-jerk box of Russell Stover’s dark chocolate-covered assortment. Of course, there’s a time for everything, so don’t let us get in the way of your preferred groove. Oh, and with us all being a bunch of food and beverage writers, of course most of our wishes are all about some of the best of each to be found in Houston. Our only rule in stating what we want for Valentine’s Day was to keep it clean. Glenmorangie Signet is like a great whisky with the box of chocolates already included. Photo courtesy of Glenmorangie USA. 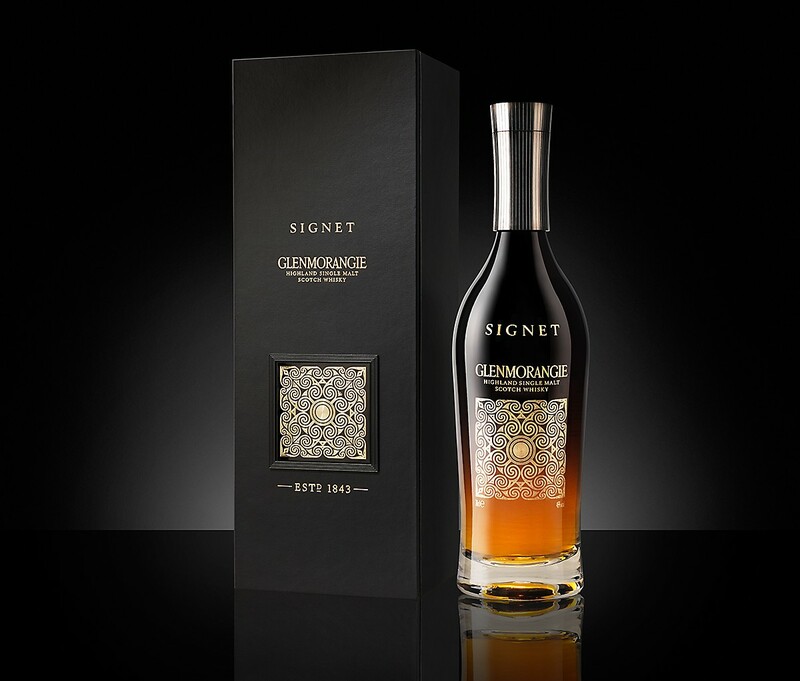 Phaedra Cook, editor and publisher: Glenmorangie Signet is like Valentine’s Day in a bottle. It’s like consuming Scotch AND a box of fine chocolate at the same time. The company is pretty closed-mouthed about the creation process, but chocolate malt is one of the contributors to the flavor. Unfortunately, it also runs at least $200 a bottle. This is a splurge items that my husband and I get once every two years (we have to balance it with our Japanese whiskey fetish) and savor it for as long as we can. Even doing our best to fight our hedonistic tendencies, that’s about six months. The bottle is particularly beautiful, too. It’s at least worth saving the metal-capped cork as a memento. Don’t just take my word for it before you buy a whole bottle. Try it at Reserve 101 at 1201 Caroline in downtown Houston where it’s $50 for a shot—and feel free to blame me when you decide afterward you absolutely have to keep a bottle at home. Josh Armendariz, Lead Cocktail & Beer Writer: Keep it clean? Do you know how much long-stemmed roses and chocolates are marked up on Valentines Day? If I’m getting bent over—well, you get the point. We like to stay in on Valentines Day instead of painting the town red. What I want is a stress-free evening with my partner. I make a trip to Central Market to buy charcuterie and cheese for our annual epic board. I also purchase foie gras to sear for an extra special and rich treat. Central Market also has an excellent wine selection so it’s incredibly easy to grab a bottle of Prosecco or rosé to round the meal out. What else do I want? Coffee. The Greenway Coffee that I received for being a Houston Food Finder Patreon sponsor changed my life. The Primavera blend is a Colombian roast that made me realize that my former caffeine hero Juan Valdez is no one more than a random man in a field. Holly Beretto, “What The Fork?” columnist and food writer: I want him to Go To Jared. Sorry, couldn’t resist. For real, I want the entire Culinaria cookbook series in hardcover. It blends stunning photography with regional history and incredible dishes. It’s not a particularly “luxury” kind of thing, but for a bookworm and home cook like me, it’s damn close to priceless. If I had to pick a luxury-ish thing, this cooking holiday in southeastern France would be perfect. Culture. Cooking. France. It doesn’t get much better than that. 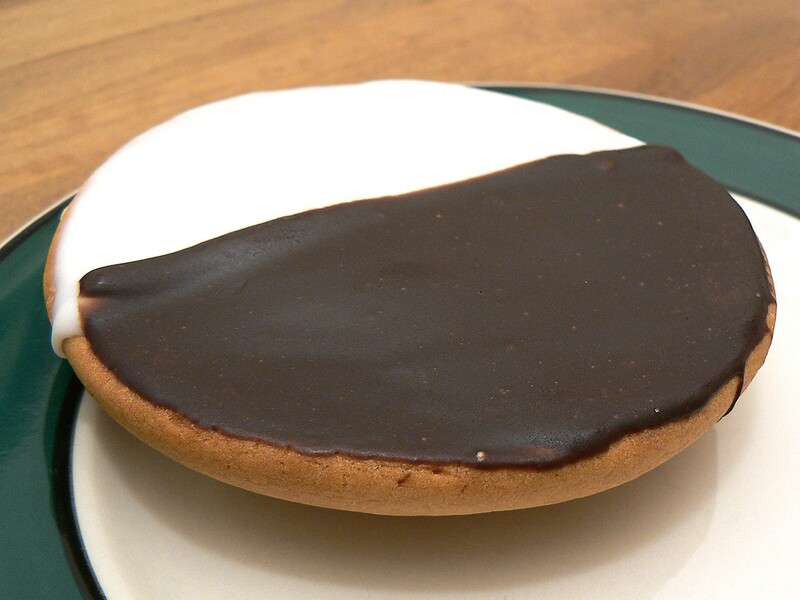 All writer Beth Levine wants for Valentine’s Day are some authentic Black & White cookies from New York City. Photo by Stu Spivack via Flickr Creative Commons. As far as a luxury items goes: an airline ticket back to New York City so I can have all the cookies! 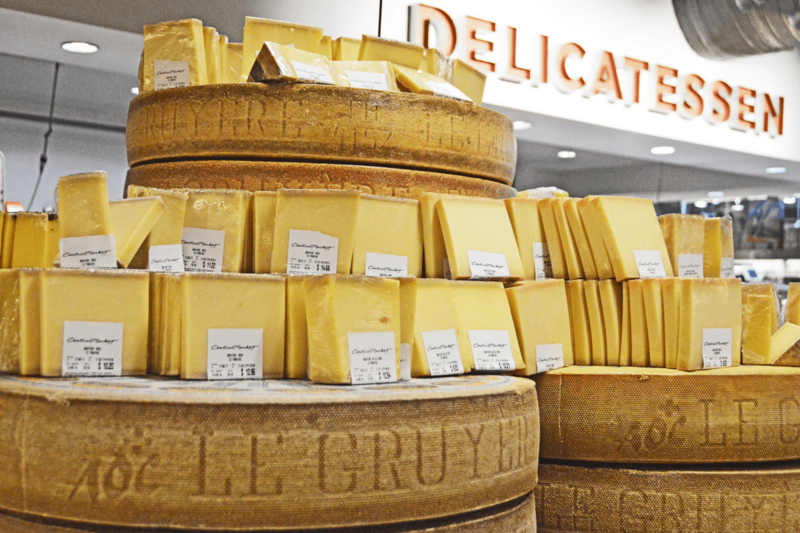 Lauren McDowell, food & beverage writer (and recent acting editor): Valentine’s for me is a time to relive life as a cheesemonger, which is basically an excuse to gorge on specialty food products I deny myself on a regular basis. Examples: Fran’s sea salt caramels paired with a schmear of blue cheese on an Effie’s cracker. Burrata drizzled with fancy balsamic and fresh-cut speck for good measure. For drinks, I’ll pick a bottle of weird wine that tastes like a barn, or a petillant naturel bubbly bottle from a single producer vineyard. Or a giant funky bottle of cider. Valentine’s Day is pretty much just an excuse for the full food snob to come out. Bacon Bouquets’ popular arrangements are sold out for this year’s Valentine’s Day already, but perhaps this is something to consider for the next gift-giving day. Photo by Joseph Lacerte. Scott Sandlin, barbecue columnist: I would love to work our way through the appetizer menu at Pappas Delta Blues Smokehouse, starting with some Sticky Pork Belly Bites with cherry cola glaze, then their Delta Shrimp & Sausage Brochette, and finally the “Nashville Hot” Fried Manchester Farm Quail with Fredericksburg peach glaze. 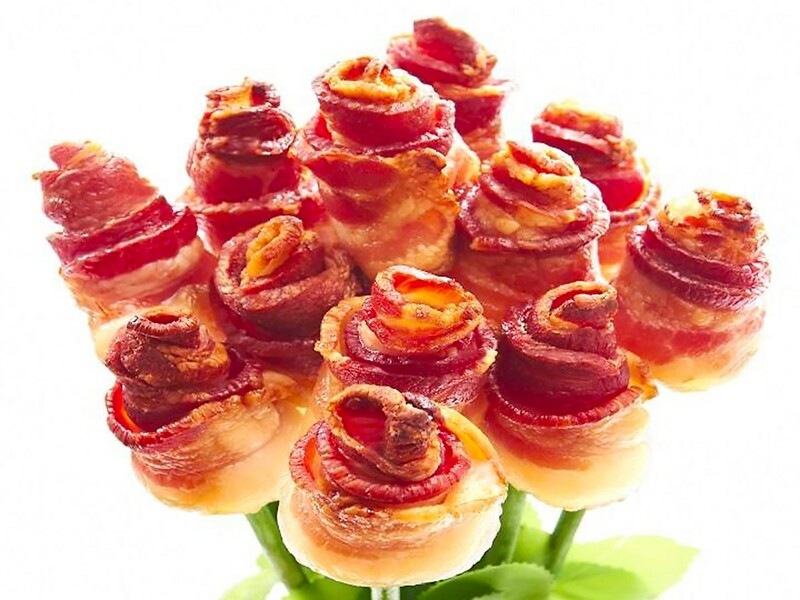 Or maybe a bacon bouquet! 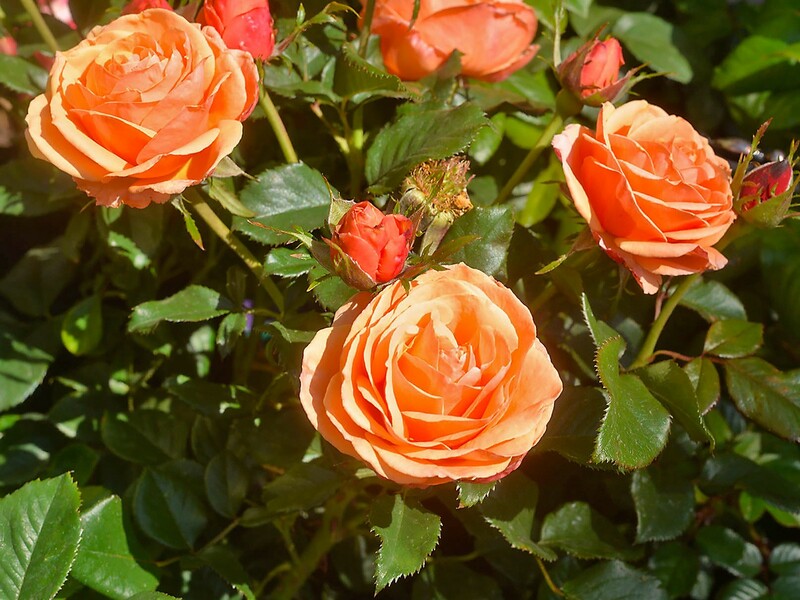 Editor and writer Ellie Sharp says if not a trip to Europe, then a bouquet of tea roses will do. Photo by Paul Sullivan via Flickr Creative Commons. Ellie Sharp, Zagat Houston editor and Houston Food Finder contributor: I’m happy with a bouquet of tea roses or tulips. However, if we’re talking Fantasy Land I’d eagerly embrace a guided tour of Europe, alternately hitting every sensational cheese and chocolate maker via bus with unlimited supplies of good red wine. Editor’s note: To clarify Josh Armendariz’s Patreon reference—when Houston Food Finder first started in November 2016, our initial seed money came from beloved Patreon supporters who believed in us. Without them, we never would have gotten off the ground. The program has since been discontinued in favor of a more traditional advertising model. Email us for a sponsor guide or let us know if there’s some other way you’d like to help with our mission to be Houston’s best resource for bar and restaurant news. I’m with Josh about that Greenway Coffee present. I got their Rwanda Nova and it blew my mind. The aroma, flavor, freshness.. I can’t go back to generic grocery store coffee anymore! PERFECT photo placement and suggestion on French Country Wines! 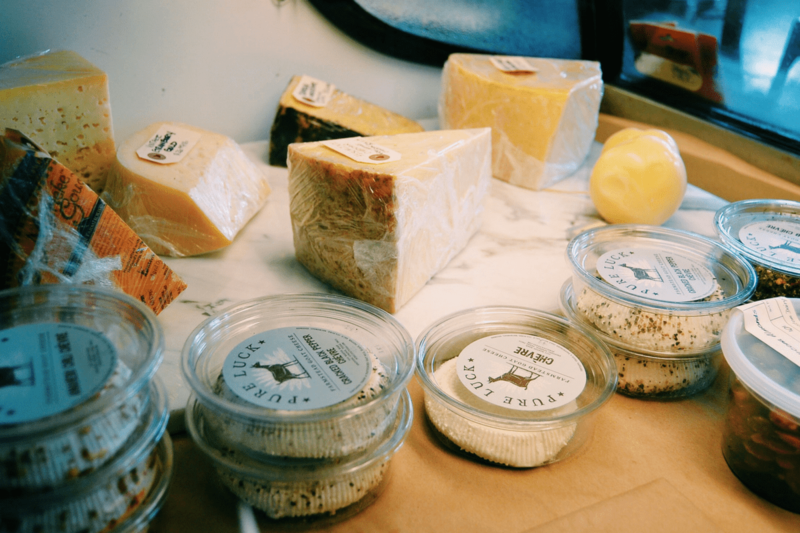 Their carefully curated selections really do feel like you’ve taken a trip to La Belle France! Also? Mmmmm. Zabar’s!